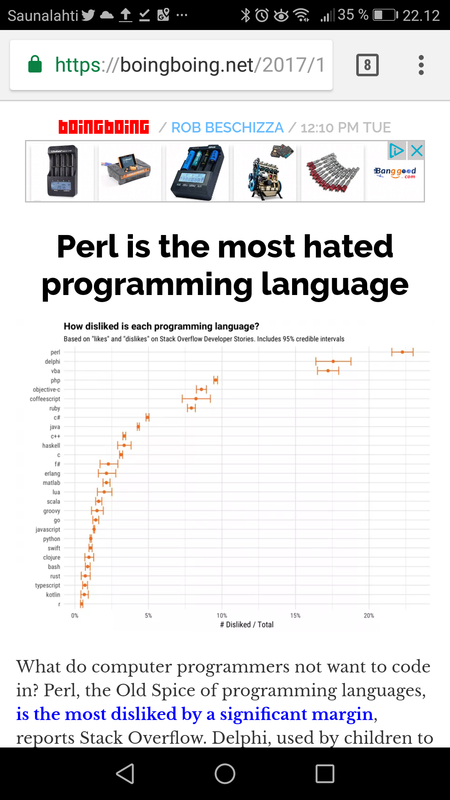 Perl, the Old Spice of programming languages, is the most disliked by a significant margin, reports Stack Overflow. Delphi, and Visual Basic are running neck-and-neck for second place. Hi to all, it’s truly a nice for me to go to see this website, it includes important Information. Wow, this is most amazing post. thank’s a lot for sharing this one. buddies you really like to visit http://addprinterwindows10.com/ here you can learn to access printer in your device.